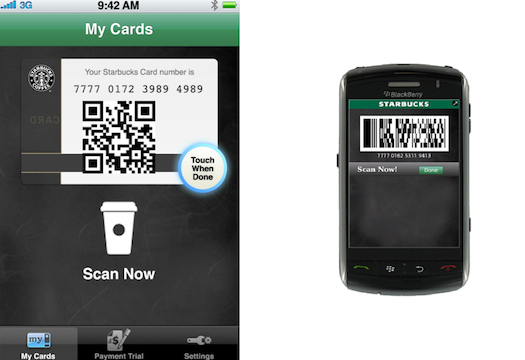 Starbucks has now made it even easier to pay for your coffee; by using your phone. The mobile payment service will be available to all Blackberry, iPhone, and iPod Touch owners by downloading an application that will allow them to load a bar-code directly into their device. The service is based on the company’s existing mobile application, which allows customers to manage their Starbucks card balances with their phone. The service has been launched in 6,800 stores today (1000 here in the US). Look for people paying for coffee with their phones, and hopefully the line moving just a bit quicker.